How does a city surrounded by the ocean get enough fresh water to support a population of nearly half a million people? The answer for Byzantine Emperors Constantine and Justinian I was a 19km aqueduct that emptied into a massive reservoir beneath Constantinople. 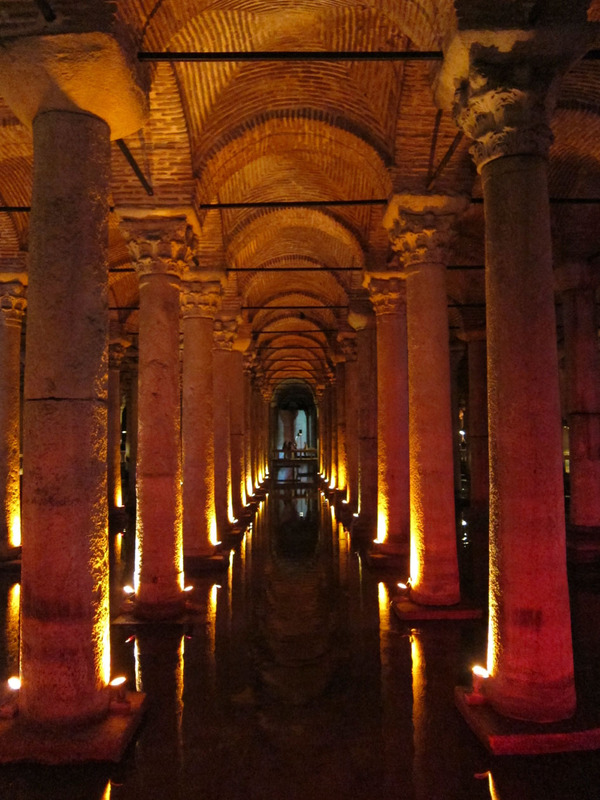 Today you can visit the Basilica Cistern; the entrance is about a block away from the Hagia Sophia. The cavernous pool is cool, dimly lit and a quiet retreat from the tourist commotion above. I thought it was incredibly beautiful and peaceful and spent about an hour very slowly wandering through it. Built predominantly in the 6th century AD, the cistern has a 25 foot ceiling and is composted of 336 total columns organized in 28 rows of 12. There is some inconsistency in the column capitols and so you will see Doric, Ionic and Corinthian dispersed through the structure. The cistern can hold about 80,000 cubic meters or 27,000,000 gallons of water which is enough to fill 27 Olympic sized swimming pools. 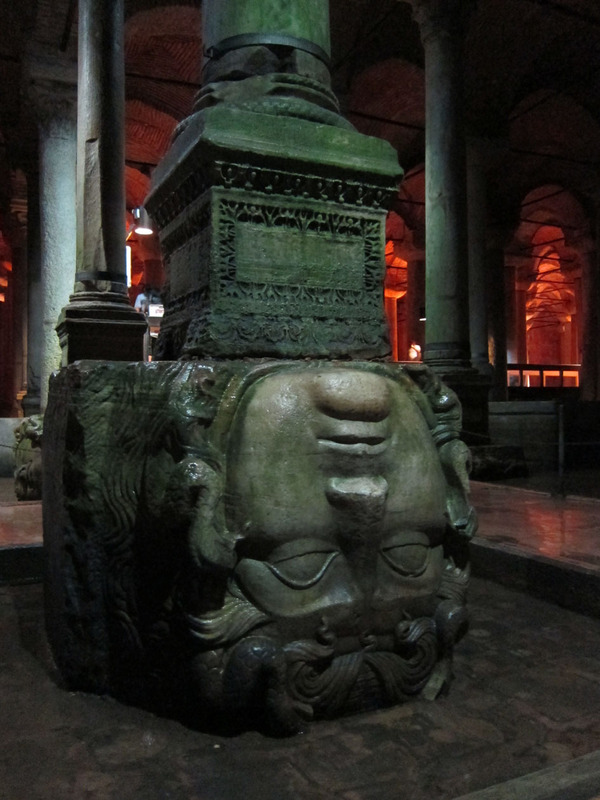 Near the back of the cistern are two large, carved Medusa heads which support columns. While Medusa imagery was often used to ward off evil, it is likely these upside down and sideways blocks were placed in the cistern to compensate for shorter columns taken from another structure and then incorporated into the cistern. 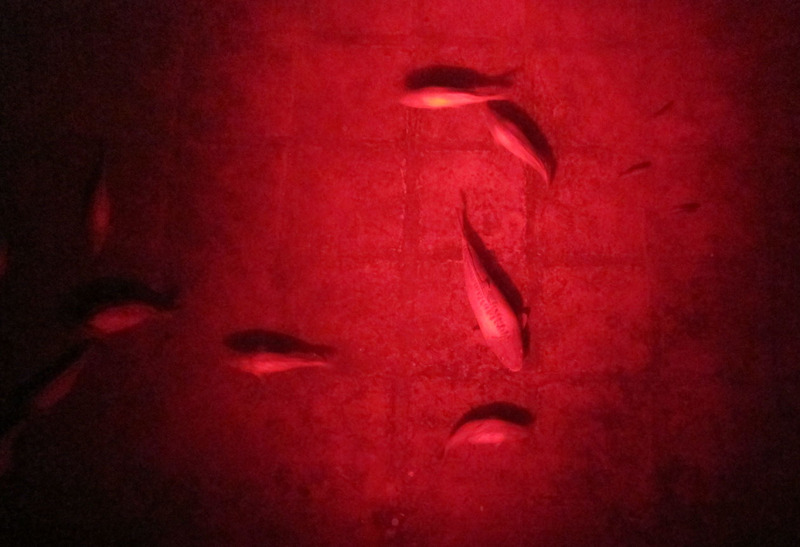 There are only a few feet of water in the cistern today but it is inhabited by a number of fish said to descend from Byzantine ancestors. 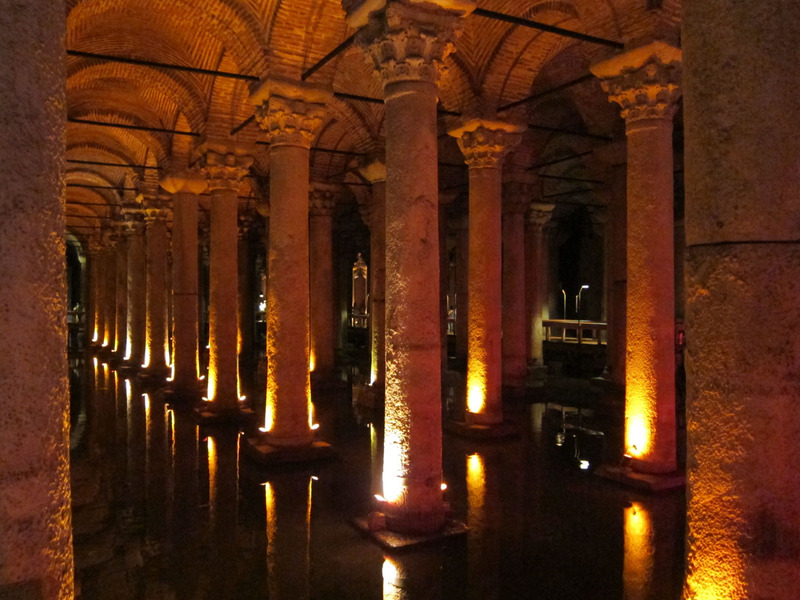 I totall recommend a visit to the Basilica Cistern when in Istanbul! It is beautiful and peaceful but unfortunately, every time I go, there are lots of people. I never manage to beat the queues. !